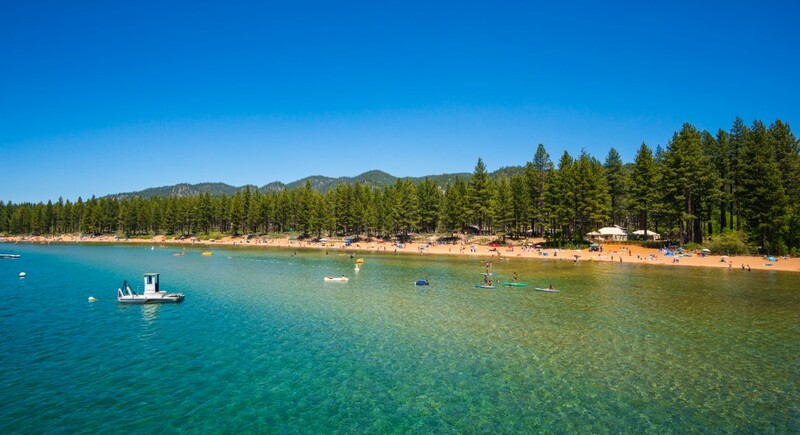 The Tahoe Sands Resort is located on the north shore of the lake and boasts four acres of open lakefront property, as well as more private getaways hidden in the wooded acreage near the main buildings. 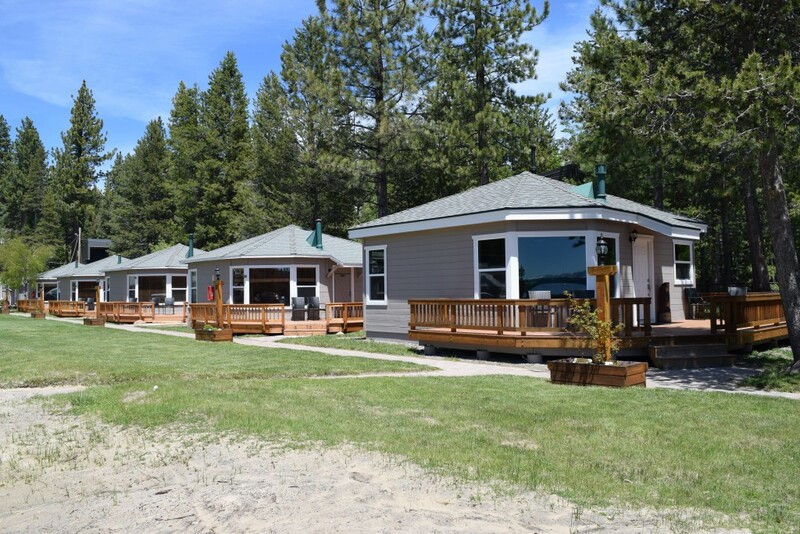 Pick a standalone cottage or a suite attached to the lodge in a studio configuration, or one and two bedroom units, complete with kitchens. 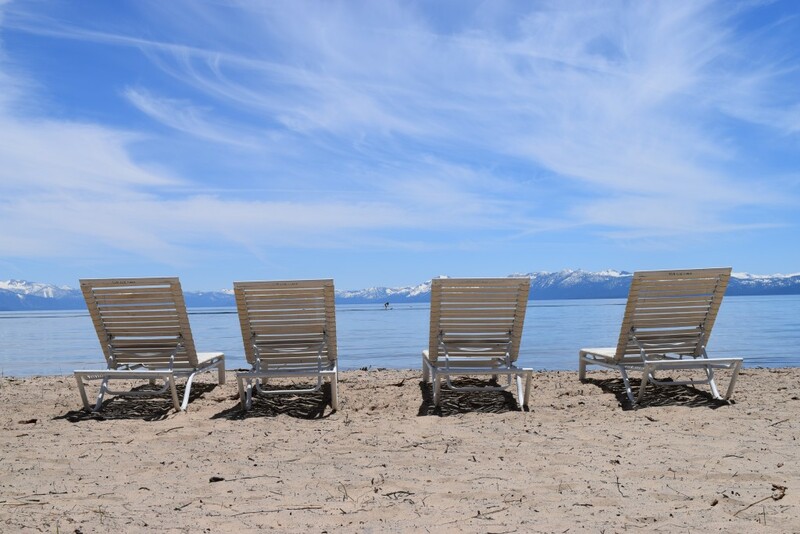 Guests will also find Tahoe Sands to be perfect for an active family. 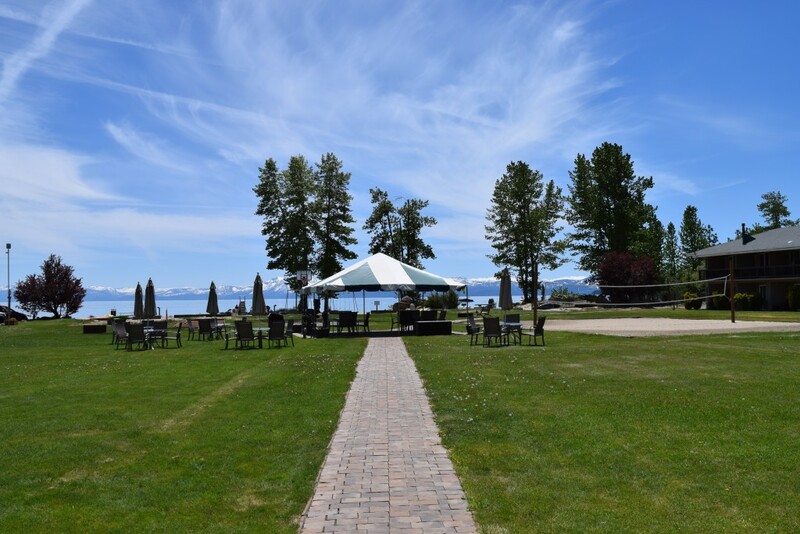 The resort has direct beach access to the lake, two heated outdoor swimming pools, a hot tub and sauna, two playgrounds, volleyball, a basketball and bocce court, horseshoe pit, picnic tables, and barbecue grills.